Oh yes, I went back to my favourite briyani stall again - Masala Tandoor inside the corner of a kopitiam at Marine Parade Central (diagonally facing the Polyclinic). 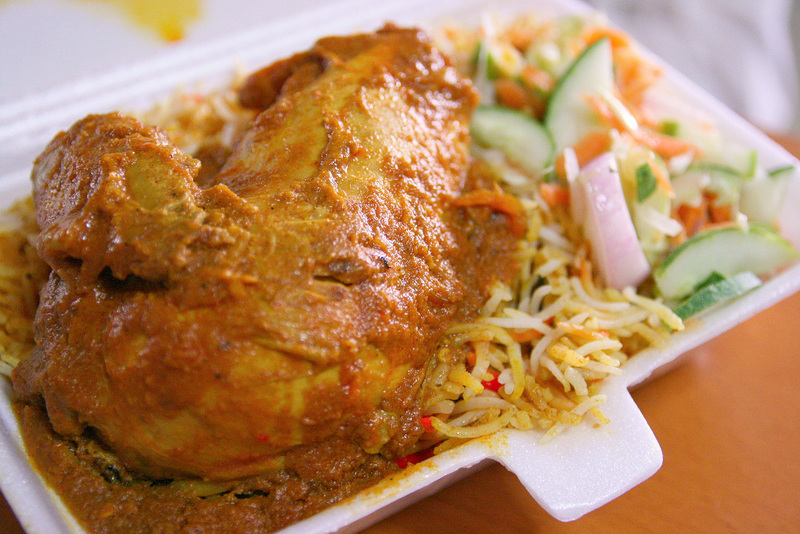 Chicken briyani with flavoursome, fluffy basmati rice (not greasy at all), complemented by freshly made, crunchy pickles. I also got to try the mutton briyani, cooked dum style. What a generous chunk of mutton. It's pretty lean and very aromatic, but isn't too gamey. What's really good are the accompanying curries and sambal (in bowls). Mix some in and it absolutely changes the flavours of the dish. 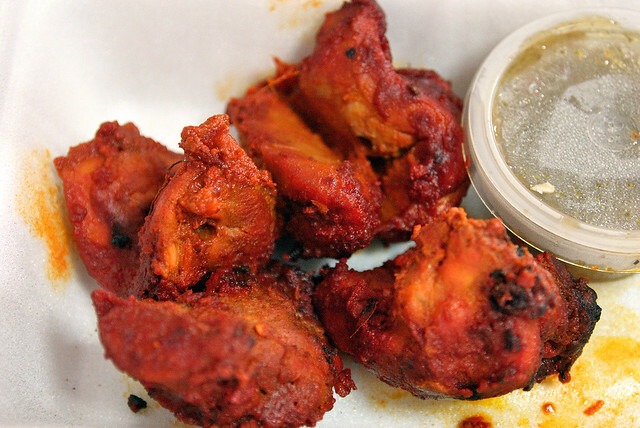 The owner Rashid also recommended the chicken tikka and it is fantastic! The chicken pieces have soaked up all the gorgeous spices and marinade, and the grilling seems only to have concentrated and amplified the flavours. Yes, yum. I blogged about them before, and wrote a more detailed piece for Makanation too. I like the food a lot, and I'm going back there again tonight. 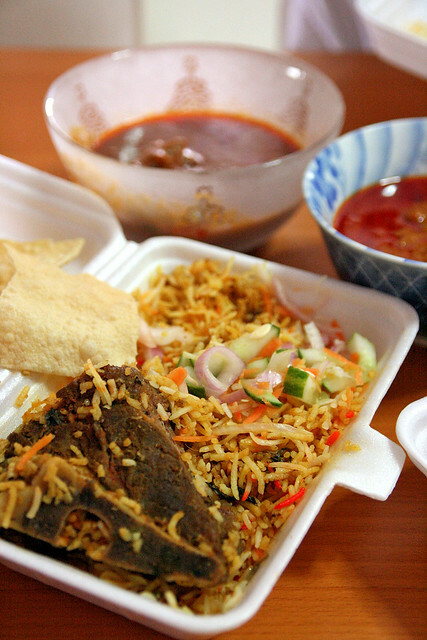 briyani accompanied by sambal? that's interesting. considering Briyani is Indian, and sambal is Malay, and I've never had briyani with sambal before. Very good food, try butter nan with palak paneer and chicken curry. Fabulous.